Premises liability is the concept of the legal liability of property owners for injuries suffered by people who are on their property. Each year, thousands of people across the country suffer debilitating injuries in accidents in businesses, stores, or other people’s homes. Most people are familiar with the term “slip and fall accident,” and while this is, perhaps, the most common type of premises liability accident, it is not the only kind. Premises liability cases can involve dog bites, pool accidents, or most anything else that can take place on a commercial or residential property. If you’ve been injured due to unsafe property conditions, you should contact our Colorado Springs premises liability attorneys to find out what your legal options are. Premises liability law states that property owners are responsible for maintaining safe conditions on their property. This includes the interior and exterior of stores, residences, public gathering locations, and places of business. These are people who come onto your property with your knowledge and consent, including friends, family, and social guests. These are people who come onto your property with whom you have a mutual business interest, or by an implied invitation by the property owner. Mail carriers, contractors, and repair persons are included in this group. These are people who come onto your property without your knowledge or permission. Because of the “discovered trespasser rule,” once a property owner is aware of a trespasser, he or she must exercise reasonable care for the safety of the trespasser. That a condition on the property posed an unreasonable danger. That you sustained an injury resulting from the dangerous condition. That the property owner/manager knew or should have reasonably known about the dangerous condition. That the property owner/manager was negligent by creating the dangerous condition and negligent by failing to remedy the dangerous condition. If your attorney is successful in proving these points, you could receive compensation for your injuries. 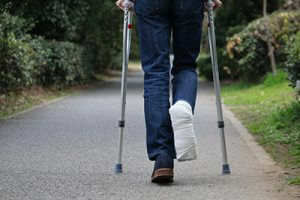 Damages typically awarded in a premises liability lawsuit include medical costs, lost earnings, and pain and suffering. If you or someone you love has been injured in a premises liability accident that was caused by another person’s negligence, our attorneys can help. At the Rector Law Firm, our Colorado Springs personal injury attorneys can review your case and help you obtain the maximum compensation you need after a devastating accident. Call us today at 719-249-5572 for a free initial consultation and review of your case.